Almost everyone knows someone who has had cataracts. What you might not know is exactly what cataracts are and how they are treated. WHY IS MY VISION CLOUDY AND I HAVE TROUBLE WITH GLARE? Objects appearing dull, hazy, blurred or distorted. Dramatic reduction in night vision and glare with headlights. Vision in bright light or sunshine may be obstructed by glare. You might see halos around lights at night. Whites, blues and purples become gray. Loss of the ability to focus on near objects requiring bifocal glasses. Frequent need to change your eyeglass prescription. Surgery is the only way a cataract can be removed. During surgery the cataract lens is removed using an ultrasound technique called phacoemulsification. A new clear lens is then inserted in the eye. The surgery ordinarily takes about ten minutes and is performed as an outpatient under local eye drop anesthesia. You may consider surgery when cataracts cause enough loss of vision to interfere with your daily activities. To diagnose a cataract, we first listen carefully to the visual symptoms that the cataract is causing and how this affects your daily living activities. 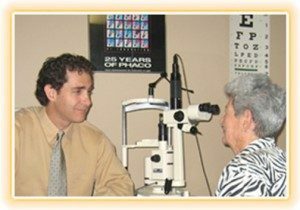 Your vision will be tested and we will determine if an eyeglass change will solve your problem. We also evaluate how glare may affect your vision. You will then undergo a complete eye exam, including tonometry to measure the pressure in your eyes, slit-lamp evaluation to look at the overall health of the eye and to assess the severity of the cataracts. 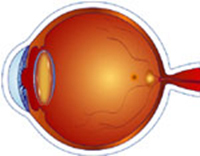 We perform a careful examination of the retina and optic nerve by viewing the back of the eye through dilated pupils. We may detect cataracts forming in people as young as their forties, and diagnose them more frequently as people age. The only way to find out if you have a cataract forming is to ask your doctor. Through a comprehensive, painless eye exam, your doctor will be able to determine if changes in your vision are due to the cataract, or some other condition. There was a time when people chose to wait until their vision deteriorated substantially before correcting the problem. But because of dramatic advances in modern cataract surgery, there is no longer any necessity to wait. It’s time to consider cataract surgery when reduced vision from cataracts interfere with your daily lifestyle. For years, the conventional thinking was that as our eyes aged, the eye’s focusing muscle, responsible for allowing your eyes to change focus from far, to intermediate and near, became inactive, and gradually was unable to affect the focus of the lens. Since we believed that the muscle could no longer focus the lens, there were only two kinds of lens implants placed in the eye during cataract surgery. One was a fixed focus lens (covered by insurance) that let you see primarily at a distance. Seeing at any other distance requires eyeglasses. 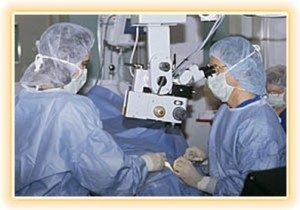 The other lens implant was a multi-focal lens which divides the light presented to the eye with two points of focus at the same time allowing you to see near with one point of focus, and far at the other point of focus. With the multi-focal lens the brain has to learn which of the two images that are presented to it should be recognized for you to comfortably be able to see. Many patients with these multi-focal lens are comfortable, but some complain of glare and reduced image quality. Today, we know that the process of focusing at different distances is different than we thought. We now know that even as the eye focusing muscles get older they continue to contract and work quite well. We also know that with age, your lens becomes larger and stiffens, which makes it progressively less flexible. This loss of lens flexibility prevents the focusing muscle from changing the lenses focusing ability. The ultimate result of these changes is a gradual and progressive loss of intermediate and near distance focusing ability requiring bifocal or progressive eyeglasses. The goal of modern cataract surgery is to use a cataract replacement lens that can accommodate, or move, to focus on objects near, far and in-between seamlessly, using the natural desire of the eye and brain to focus. 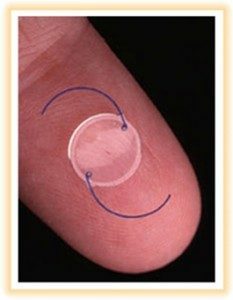 To accomplish this goal we now have advanced technology lens implants. When patients are ready for surgery they can choose a standard lens, the Crystalens™ or Tecnis Symfony™ lens. A monofocal IOL is designed to provide clear distance vision. This means you will be able to see objects far away. However, you will need glasses for reading, the computer, and any type of close detailed work. Monofocal IOLs have been the standard implant used for decades to help patients after a cataract is removed. Millions of monofocal IOLs have been successfully implanted providing cataract patients with clear distance vision. Recent advances in accommodative (changing focus) lens technology now make it possible for you to read the words on prescription bottles, magazines, newspapers and computer screens, without magnifying glasses or bifocals, while still clearly seeing objects at a distance. The Crystalens™ has hinges on both sides, so it can be moved by the eyes focusing muscle, allowing the eye to focus more naturally at a greater range of distances than traditional IOLs. 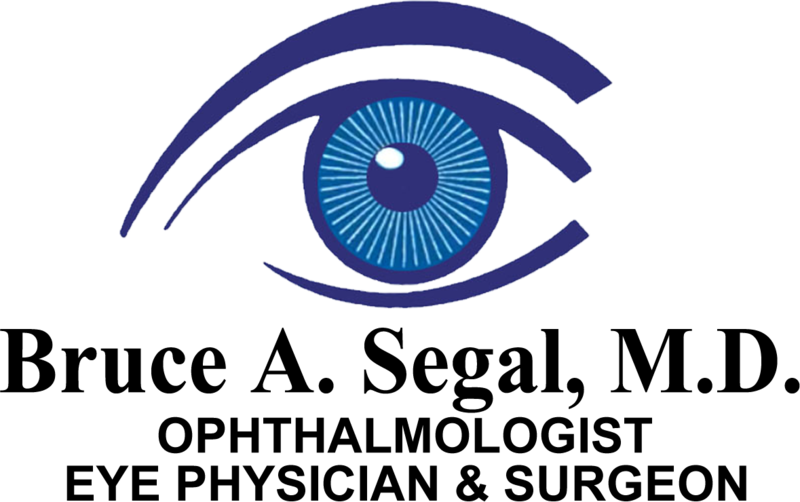 The goal of modern cataract surgery is to improve vision and reduce dependence on eyeglasses. To accomplish this goal we are now fortunate to have the Crystalens™ . The Crystalens™ is an upgrade above the standard lens. Patients are told that they may still need glasses after this procedure, although much less than if a standard lens is used. The improved range of focus is the great benefit of the Crystalens™ option. The Tecnis Symfony™ lens also gives an improved range, using a different technology. Dr. Segal will discuss all lens options and advise which is right for your surgery.